With Easter on the horizon, Lowestoft Lions are making preparations for this year’s free egg trail event and are pleased to announce that vouchers are now available. 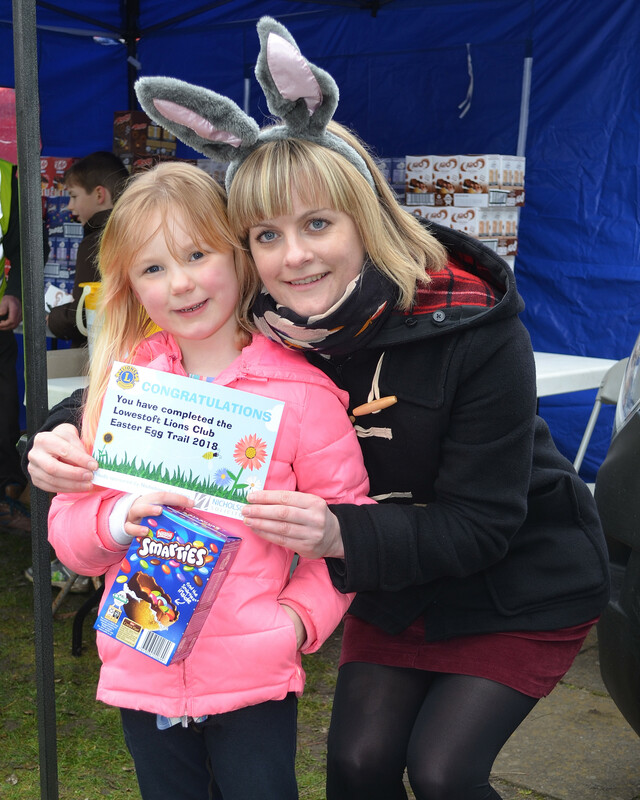 The Easter Egg Trail is aimed at children aged 10 and under and will be held at Sparrow’s Nest Gardens, Lowestoft on Easter Sunday 21st April 2019 from 10.30am – with this year’s event being sponsored by Nicholsons Solicitors. The new voucher system introduced last year proved successful, attracting almost 500 entrants and will be repeated. Each participating child will require a voucher, which will then be exchanged for a quiz sheet on the day – with an Easter Egg treat awaiting each child who completes the trail! The vouchers will guarantee children a place in the trail between 10.30am and 1.00pm. From 1.00 until 2.30pm any unclaimed entry forms will be available to those without vouchers. Nicholsons Solicitors, 23 Alexandra Road, Lowestoft. Organisers stress that vouchers cannot be ‘reserved’ so are encouraging people to collect their voucher as soon as they are available. Popular children’s entertainers Steff will be there with music, magic, balloons and bubbles.